The Itty Bitty Kitty Committee: It's Thelma Thursday! All Thelma,, all day long! She's got the kitten-camera flirt thing down. Work it, sweetie! #3 "Hey, she's taking pictures of me, now get out of the shot!" 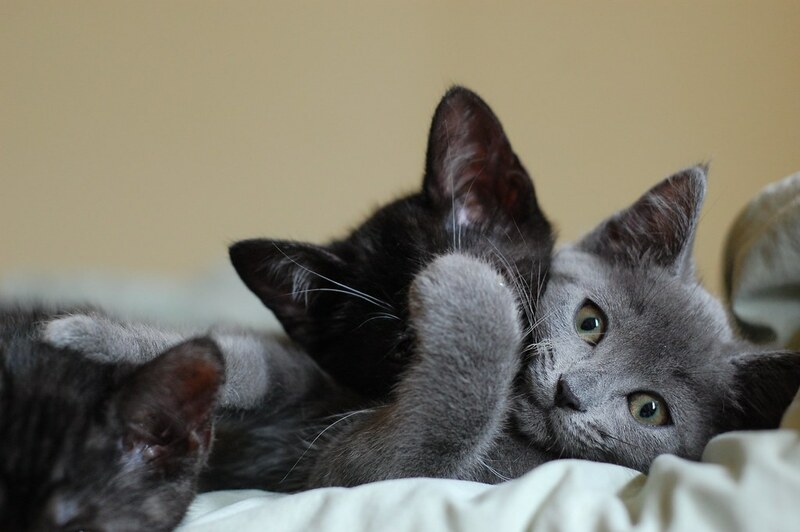 She looks so much like our little Frankie Fred, a Russian Blue girl. Cute, silly, and always smiling. She's beautiful! 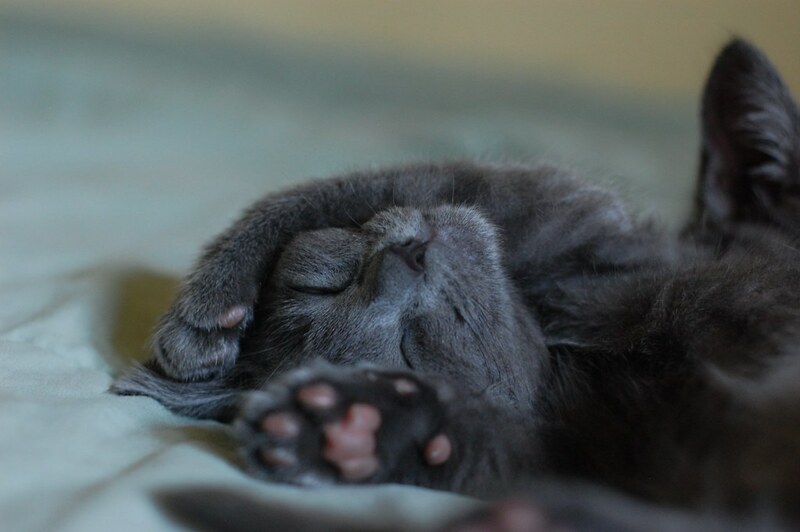 And she does look like a Russian Blue, down to those cute little mauve pawpads! Hey gang! Jane over at Kitten Mom has been fighting tooth and nail to save the remnants of her super litter, which was decimated by parvo (Yikes!!). What do you say to going over there and showing some support? #4. "I'm ready for my close-up, Ms. Cinotto....oh, and I'm adorable." We've been treated to these kitties for quite a long time now. How soon until they go for surgery and then to their forever homes? I just melted into a puddle of goo, this is my favorite because I have a gray kitty named Nermal. #3 she said ALL Thelma, ALL day! You'll have your day...maybe. #3: It's *Thelma* Thursday, kiddo. Pia/Gia Friday could be next, but not today. Today is for Thelma, that little ham. Oh, Thelma, I love that you are so full of yourself! 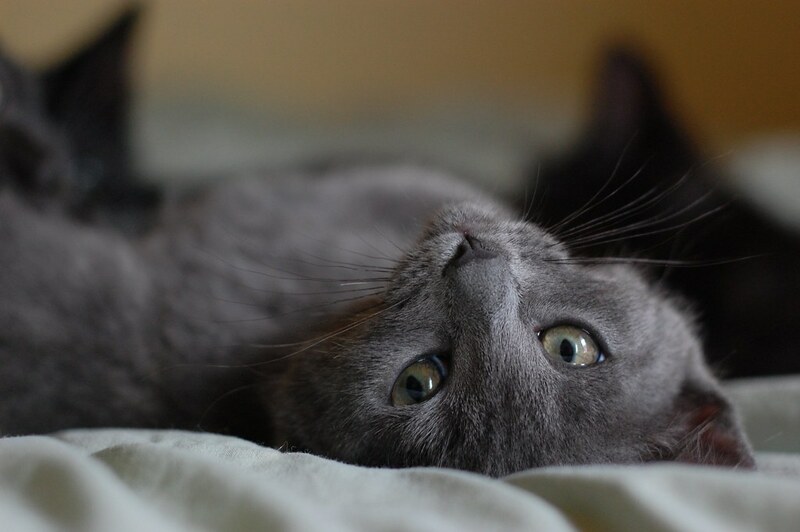 She reminds me so much of my little Whiskers as she also looked like a Russian Blue kitten. Thelma is so beautiful. Thelma is such a cutie! 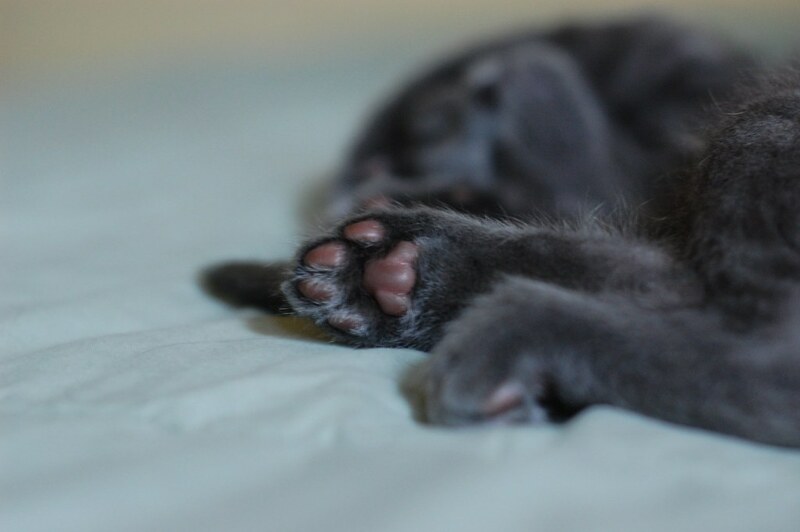 Her toes look like little jelly beans! Aww...I didn't know him as a wee-one, but I figure this has to be what my Nobu looked like as a youngster. I luf me the grey ones. Anon,, we'll be hearing some departure stories soon! That last photo! Sigh, I miss having cats. i've been waiting for this since you got this litter!!!!!! Is it just me or are these kittens huge hams? Especially with that last photo, I feel like little Thelma knows exactly what you're doing. Like "Oh hi, Mom. Yes, just keep taking pictures. Oh, don't worry, I'll be natural. *pawfaces sibling* Why yes, I AM adorable." Adorable! She looks just like I did when I was a baby! She looks (and from the postings) acts just like my little Optimus Prime who is, by far, the most affectionate and personable cat I've ever known! I think she's actually got some Korat in her, since Russian Blues have green eyes and hers seem to be gold with a bit of green thrown in (a characteristic of Korats until they are older).